The slot maker Aristocrat is an Australian software developer with its head office in Sydney. This well-respected brand is known for its reliability and has become a popular choice for online casinos and mobile casinos. Aristocrat Leisure Company was founded by Len Ainsworth and created its first slot machine in 1953. The company has grown hugely since then and was listed on the Australian stock exchange in 1996 before continuing to grow internationally. The company now provides top games for casinos all over the world, with products spread across more than 200 regions. Click here to read more. Aristocrat is known for its innovative use of technology and clever design to create some of the world’s best-known slot machines. Some favourite titles produced by the company include Game of Thrones, Queen of the Nile, Wild Panda, Choy Sun Doa, Wolf Moon, 50 Lions and Dolphin Treasure. The company provides many specialist linked jackpot games, which give players the chance to win life-changing sums from the linked progressive jackpot. 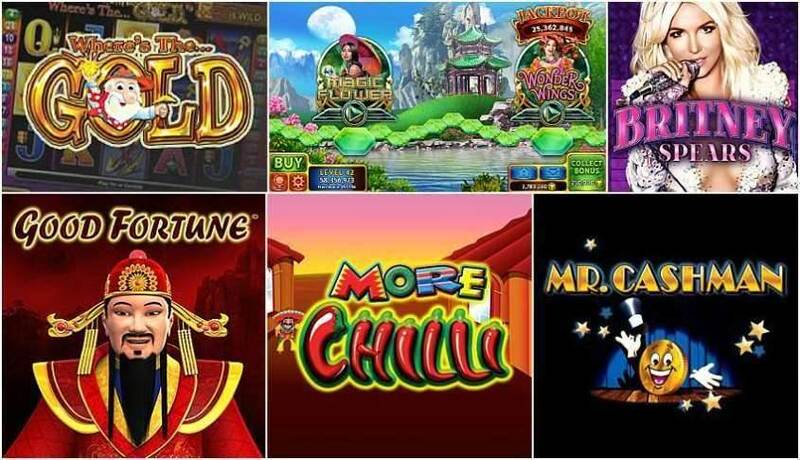 These games link together to create bigger jackpots, and some of the best-known machines include the popular Jackpot Carnival and Cash Express. Aristocrat has a particularly strong following in the US, Japan, South Africa and Russia and is second in popularity as a slot game developer only to International Game Technology, the US casino software production company. Aristocrat is also known for its efficient slot machine cabinets and comprehensive services to land-based casinos. For the brick-and-mortar casinos that wish to make the move into the burgeoning online gaming market, Aristocrat offers help through its respected nLive virtual casino solution. The cabinets in Aristocrat’s VIRIDIAN series are found all over the world thanks to their energy-efficient design and attractive appearance. There are many variations on the original design of this cabinet, including the WS, RFX Stepper and Hybrid versions. Aristocrat also provides gaming solutions for a wider market, including games content, interactive video systems, online casino solutions, computerised table games and card games, and much more. The innovative Reel Power System is trademarked by Aristocrat. The basic idea behind this system is that players can buy reels instead of the regular paylines on their slot machine in order to win the successful combinations of symbols. This system has proved to be a popular new approach for slot games with players enjoying the new style and fresh way to win real money. Mobile gaming is also an important area of growth for Aristocrat, and the games designed and produced by the company are all compatible with Apple and Android products, including iPad and iPhone, with many games appearing in the Apple App Store for immediate download. In addition to providing a host of popular slot machines, casino table games, card games and a range of other gaming solutions for online and land-based casinos, Aristocrat provides extensive support services for its customers. The support available from Aristocrat includes not only all kinds of technical repairs but also maintenance issues and advice on logistics.